Best Owl Decorations for Any Home! Beautiful Owl Decor for Home! This page was created today for all of my fellow owl lovers out there, looking to create a fun owl bedroom, bathroom or owl living-room! If you or anybody in the family is an owl lover, this is the spot for you! To me they are very beautiful and exotic. I hope you find a nice owl home decor piece for you! Fun and Colorful Owl Bedding! This gorgeous and very colorful owls duvet cover! I guess it’s a happy owl family! 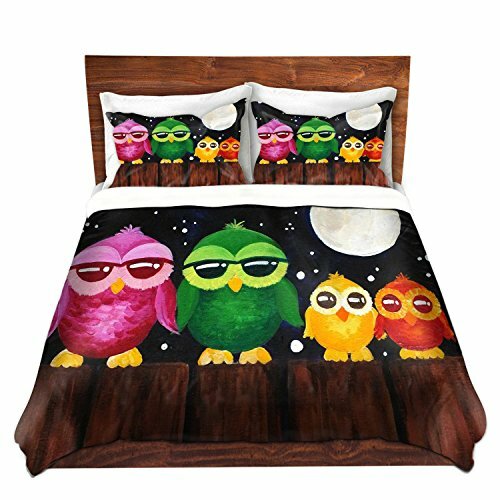 *You have the option of buying the complete set that includes the cute owl shams or just the duvet cover if you prefer. 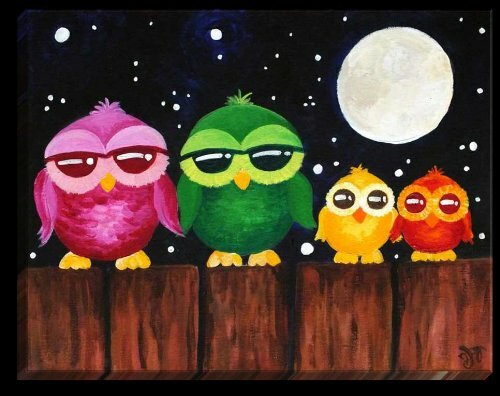 After you get the fun owl bedding set you can get this cute illuminated matching owl canvas too! Just flip a switch and it will glow at night! And it matches your beautiful owl duvet set as well! It’s available in four different sizes. It is ready to hang! 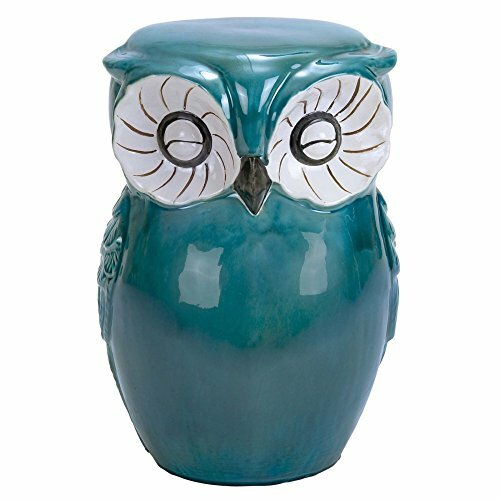 What a gorgeous turquoise color owl ceramic garden stool for sale! Very unique owl piece to have without a doubt! I love her big white eyes and her shiny finish! Another pretty fun way to have something ‘owl’ in the house is to get a cute owl clock! 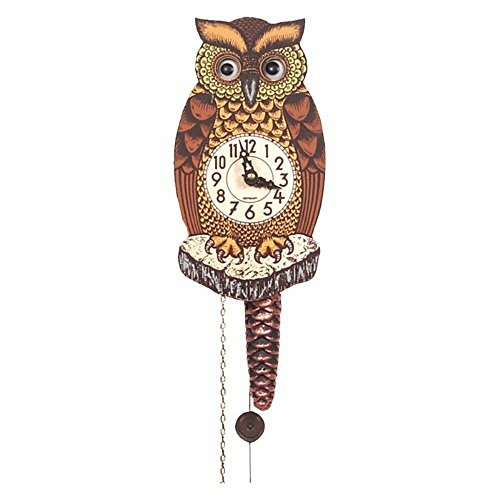 What a fun and very stylish owl shaped wall clock for sale! I love the black forest design! If you are looking for a fun and unique owl gift idea for someone, how about this very creative owl wine bottle holder? 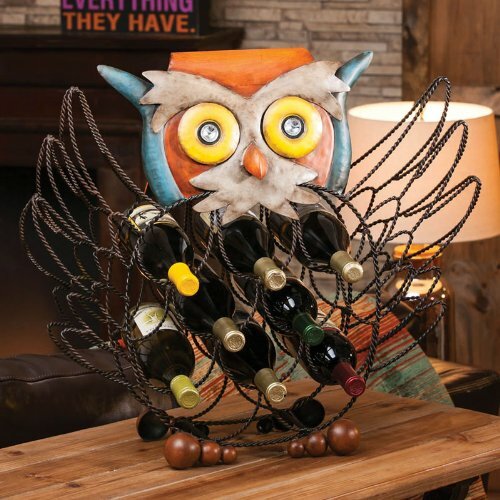 Let this wise owl keep all your wine bottles safe! 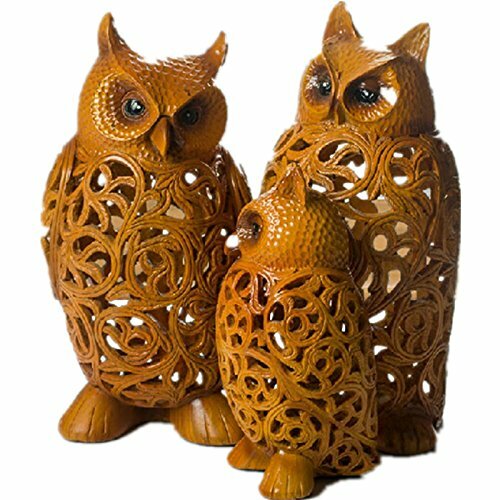 Cute owl statues are also perfect to have anywhere in the house! What an adorable owl family! You will get all three of them. Wonderful gift idea to any owl lovers in the family! 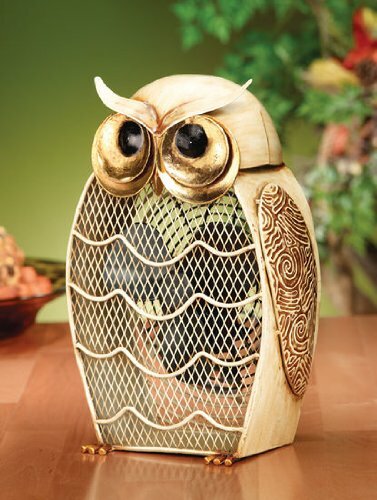 This metal owl fan is one of my favorite owl metal sculptures for home! It is very unique and creative! Makes a wonderful owl gift to anyone for sure! I love her beautiful color! 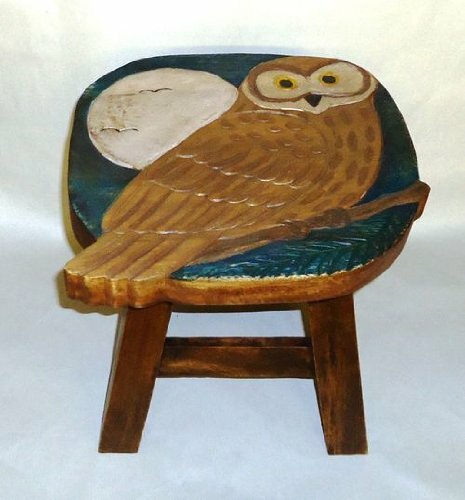 A fun wooden owl foot stool! Great to have in your porch or in a sunny corner near some plants, for example! It will definitely make any owl lover super happy! 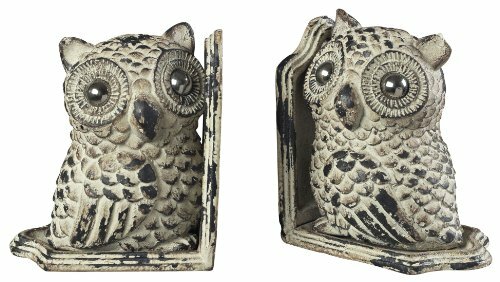 I couldn’t resist showing you these cute metal owl bookends! Look at those gorgeous big owl eyes! They love taking care of books and keeping them up straight! 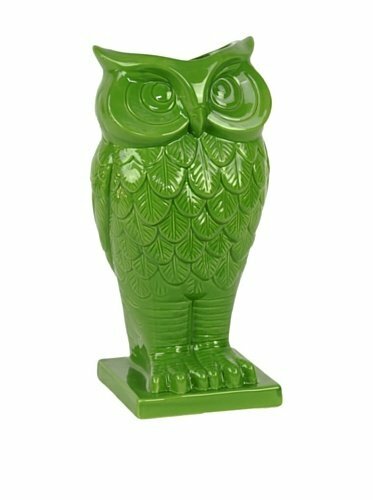 What a cool green ceramic owl vase! 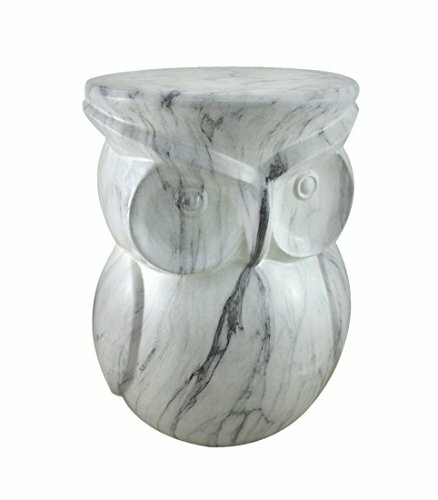 One of the most fun and unique owl decor pieces for home yet! 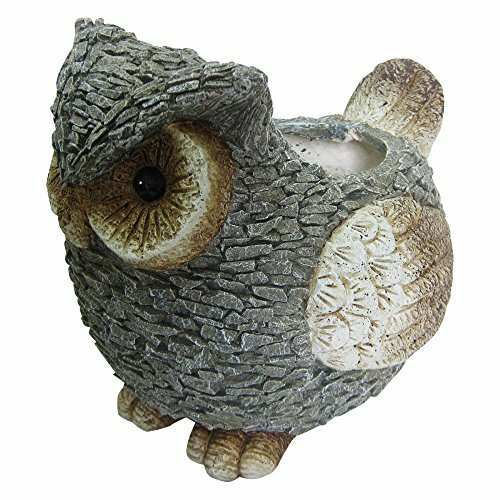 Look at this awesome owl planter for sale! I love her big owl eyes and this cool gray stone finish! What a cute and fun owl gift for mom or grandmother! Fun Owl Decor for the Bathroom! 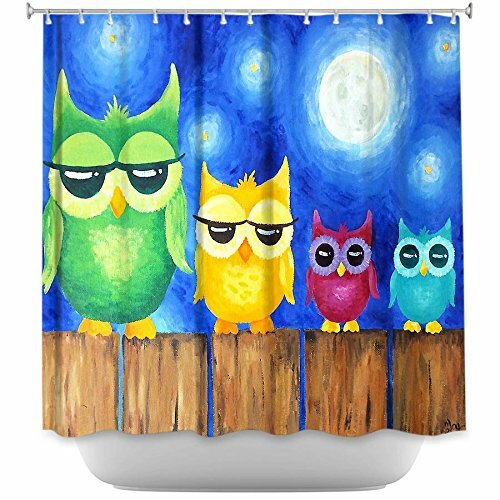 The best and the fastest way to create a fun owl bathroom is to add a fun and colorful owl shower curtain, of course! It’s a beautiful owl family!